For the first time since 1990, the Burmese military regime has declared ‘free and fair’ multi-party elections will be held before the end of this year. However, the military’s announcement has been met mostly with skepticism by those familiar with the regime’s appalling human rights records and history of brutally stifling all dissent. The elections are in accordance with the new Burmese constitution, which was approved in a May 2008 referendum widely regarded as rigged. UN Secretary General Ban Ki Moon in March said the new law ran counter to the hopes of the international community for a political process that involves all groups. He repeated his appeal for a wide-ranging political process that would produce a fair and transparent election, trusted by all Burmese people, and including the participation of Aung San Suu Kyi. It is disheartening to see that the elections have been “rigged” from the start. Burma’s election laws are very strict, which has already forced the military regime’s main opponent, the National League for Democracy, to decide not to register for the elections. 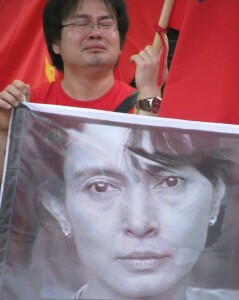 Moreover, the United Nations, members of ASEAN, and numerous Western nations have insisted that the elections will not be credible without the participation of Suu Kyi. In the last free election in 1990, the Burmese people overwhelmingly rejected military rule, awarding the National League for Democracy party more than 80 percent of the seats in parliament. Yet the military has refused to allow the NLD to form a government. 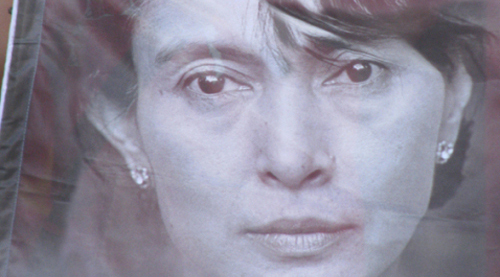 In the 20 years since that election, Burmese democracy activists have faced imprisonment, intimidation, torture and death as they have peacefully voiced demands for justice, individual and ethnic rights, and a democratic form of government that is representative of all Burma’s people. Ever since their embarrassing loss in 1990, the military regime has been afraid to hold elections in fear of again losing. 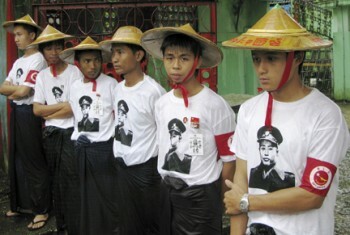 U Win Tin, a member of the Central Executive Committee and a co-founder of the National League for Democracy, wrote in an article that the showcase election planned by the military regime makes a mockery of the freedom sought by Burmese people and is simply intended to make military dictatorship permanent. Key ministries including justice, defense and the interior will remain under the control of the military, and under the 2008 constitution, a quarter of the 440 parliament seats will be reserved for military officials. People holding military permissions are not permitted to contest the election. As such, twenty members of the junta, including Prime Minister Thein Sein, have retired from their posts to participate in the election. With the primary opponents out of the way, military leaders are resigning left and right from their posts to run in the 2010 elections as civilians. Furthermore, already one-fourth of the new Myanmar Parliament has been reserved for military officials, which means the officials who have resigned and are campaigning as civilians are most likely being positioned to take the remaining 75% of the seats in support of the military. The military plans to gain virtually all the seats of power. A 224-member House of Nationalities will have 168 elected candidates and 56 nominated by the military chief, while the 440-member House of Representatives will have 330 elected civilians and 110 military representatives. At the same time, the results of the 1990 elections were annulled as they did not comply with the new election laws. All of this has led the new laws to being described as a “farce” by the Philippines and a “mockery” by the United States. Observers, especially pro-democracy supporters, have indignantly expressed outrage at the military regime’s so-called “fair elections”. Japan and other Asian countries have tried to convince the military dictators to hold elections that are actually democratic. The European Union, after considering Burma in the European Union Foreign Affairs Council meeting, has added another year to their political sanctions on Burma after the Asian country’s failure to respond to concerns about its elections being unfair. Regardless of the mockery that the 2010 Myanmar elections may make of the democratic process, it would be an even bigger blow for the country if no genuine opposition participates. Under the new laws, the NLD will face dissolution as a legal entity if it continues with its current plan to boycott the election. The Central executive council of NLD party has decided that it will not take part in the elections unless the following three demands are met: the release of political prisoners (approximately 2,100, of which around 400 are members of the NLD), observers be allowed to monitor the elections, and the Constitution of 2008 is revisited and examined. However, military junta has failed to respond to any of the demands of the NLD. Despite the undemocratic clauses of the 2008 Constitution on which the 2010 election is based, it will essentially allow a pseudo-civilian government to be formed after the election. This will include the re-introduction of a parliamentary system in Burma, albeit with 25 per cent of the seats guaranteed for the military. Despite the unfair practices and challenges any opposition party may face, the election also provides an opportunity for opposition groups to challenge the SPDC, by competing for seats against junta-backed proxy parties. Parties have until 6 June to apply to run in the new elections. As of 12 May, 36 parties had applied and 31 had been approved, of which 19 are linked to ethnic minorities. The National League for Democracy, which overwhelmingly won the previous elections but were never allowed to take power, have decided not to participate. Nonetheless, some senior members have formed the National Democracy Force to contest the elections, claiming that a complete boycott would play into the hands of the government. 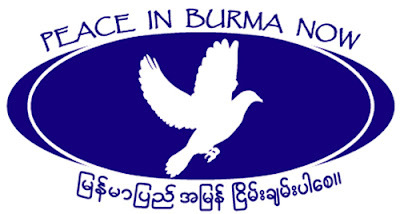 The new Democratic Party, established by the daughters of two former Prime Ministers of Burma, U Nu and BaSwe, is also aiming to take part in the election. The Shan Nationalities League for Democracy, a Shan political party that came second in the 1990 election, has also expressed an interest in participating. Another new party is being formed comprising members of a ceasefire group and a party that won seats in the 1990 elections. Five former members of the New Mon State Party (NMSP) and five members of the Mon National Democratic Front (MNDF), together with five other Mon elites who make up the new party, founded a 15-member committee and later announced that they are going to participate in the upcoming election. The SPDC has not answered opposition calls to amend the 2008 constitution, nor have they stated clearly how the electoral process will be managed or under what terms new political parties will be allowed to organize. The government established the Union Solidarity and Development Association, which is largely seen as their ‘grassroots’ political arm, in 1993. The organization claims to have around half the population as members. The National Unity Party, which contested the 1990 election as the main pro-government party and won 10 seats, has also registered to run.